All of the E books displayed below are in the non-fiction category and are presented in a formal style with references, tables of figures and end notes. However, many people told me they would prefer to read a thriller novel with shady characters, devious plots, corrupt dealings etc. and could I tell about the facts on the tabernacle and the role of Mary Magdalene within such a popular presentation. I have therefore presented this e book “A Message Written in the Stars” as a work of fiction with an investigative journalist interviewing a fellow who was building a replica of the tabernacle of Moses beside Croagh Patrick in County Mayo, Ireland. The characters are all fictional and so are the various plots. However, the technical details about the tabernacle are real as are the revelations about the role of Mary Magdalene at the resurrection of Jesus on that first Easter morning. In the E book an investigative journalist, Kelly Ryan, visits a site at the foot of Ireland’s holy mountain of Croagh Patrick to find out why a fellow is building a tabernacle there. The tabernacle builder is Michael and he tells Kelly he has discovered a secret archive of celestial knowledge in the dimensions of the sacred icon. He elaborates by pointing out to Kelly the various surface area dimensions of the tabernacle and how they had the same numerical values as the number of days in each orbit of the planets. Kelly recognizes that Michael’s discovery with the sun, moon and stars in the dimensions of the tabernacle is a major public news story and she invites him to participate in her radio chat show. On the chat show Michael outlines that the cosmic display of the stars in the tabernacle made it a virtual heaven on earth. This eventually allowed the gospel writers to use the tabernacle as an ornamental motif to explain the events in the tomb at the resurrection of Jesus in a presentation that mortals could understand. Kelly digs deeper with her questions asking Michael to spell out the bigger picture with the tabernacle motif. Michael answers that by telling of the the events at the tomb through the motif of the tabernacle, the gospel writers had elevated the apostolic role of Mary Magdalene to be on par with the traditional high priest and thus she stood above Peter and therefore Mary should now be recognized as the first pope. 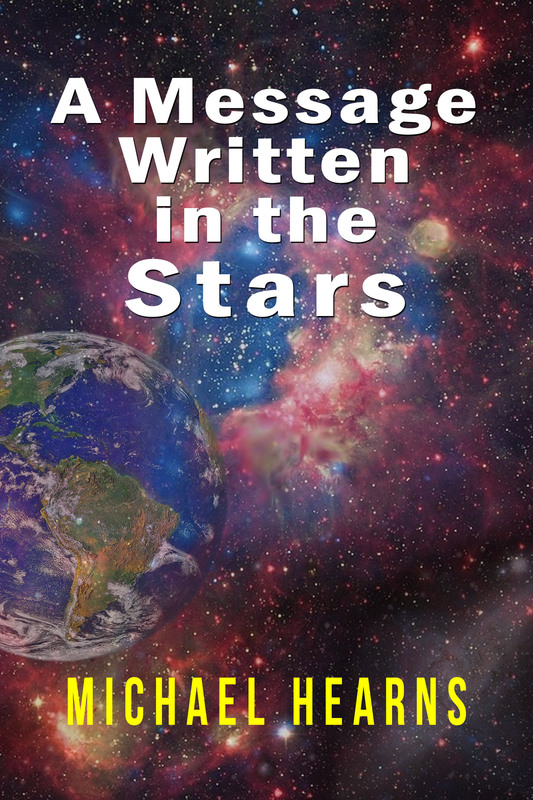 Purchase or gift to your friends the E book A Message Written in the Stars.